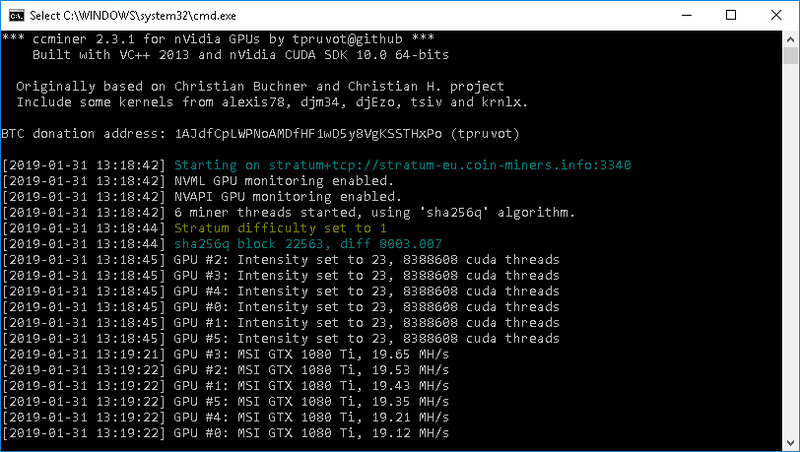 It has been a quite a while since the last update of tpruvot’s ccminer fork (source), but there it is a new version 2.3.1 available now that comes with support for Lyra2REv3, sha256q, exosis and Blake2b standard algorithms. 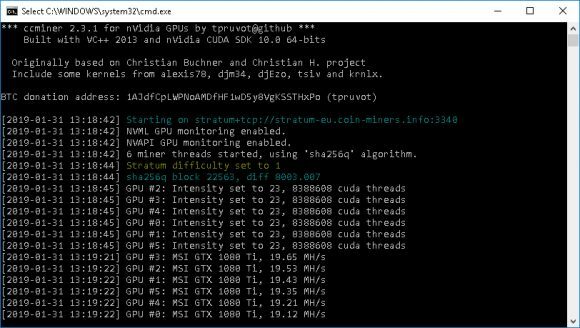 The official binary is 64-bit Windows only built with CUDA 10 for SM3+ devices, SM 7.5 architecture is also supported, but doesn’t seem to bring any advantage, for others variants you can build from the source code as the miner is opensource. Do note that CUDA 10 support requires an Nvidia video driver version 410.48 or newer. The most notable thing abut the new release is the support for Lyra2REv3 that will soon be used by the Vertcoin (VTC) after the upcoming hardfork expected to happen in less than two days. The fork should happen in around February 2nd as it is planned for block 1080000, so make sure you are ready with the required local wallet upgrade (if you are using one) as well as with a miner supporting the new Lyra2REv3 algorithm like the latest ccminer from tpruvot available for Nvidia GPU miners.